Nikon D300s does video… sorta. I’ve been using a D300 since it first came out. I made the decision to stick with DX format lenses and workflow a long time ago and the D300 was the best DX Nikon body at the time. Similar to Apple with the iPhone 3G, Nikon added an “s” to the end of their product name and I didn’t think twice. Posted on December 3, 2009 Author Matthew DuclosCategories UncategorizedTags d300s, DX, nikon, videoLeave a comment on Nikon D300s does video… sorta. I have to start off by saying that I am in no way a cinematographer by and profession. I am quite versed in the fundamentals of photography and lighting, but that’s about it. However, I do know a thing or two about lenses. I shot and edited this little video while I was out testing a few prime lenses from UniqOptics on a RED One. I got to play with the 25mm and 100mm. Both lenses were definitely professional quality and an breeze to work with. I figured I would share the little clip with everyone. Most of this is shot wide open on an obviously sunny day. 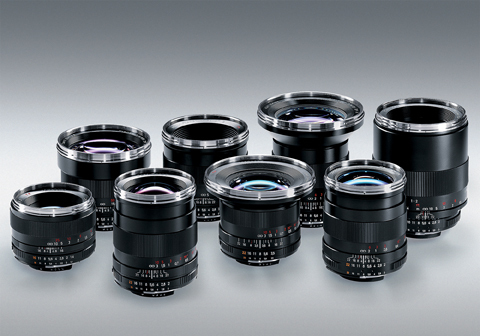 Zeiss is keeping their eye on the industry and realized that their ZF line of lenses is very versatile. They started as a throwback to the old manual lenses that made still photograph history. Then they were given a bump with the release of the RED camera and it’s Nikon mount. 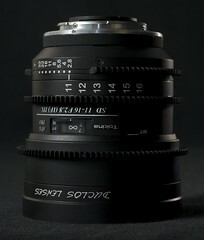 This made for excellent manual control similar to a traditional cine prime lens. Then Zeiss took another step forward and released the re-housed, updated Compact Primes that used the same optical design as the ZF line of lenses, but with a robust aluminum housing, PL mount, and circular aperture. The next iteration of the ZF series takes a cinematic step backward from the Compact Primes, but forward from the basic ZF lenses. A 50 is a 50 is a 50! When I was younger, I remember hearing the phrase “a 50 is a 50 is a 50”. A phrase coined by Denny Clairmont and carried on by my father. This was in regards to people using 35mm format lenses on a 16mm format camera. Denny or my father would scold people for saying that a particular focal length is multiplied when used on a smaller format. This is simply inaccurate. Unfortunately this mistake has become even more common today with popular formats such as Super 35 or APS-C. 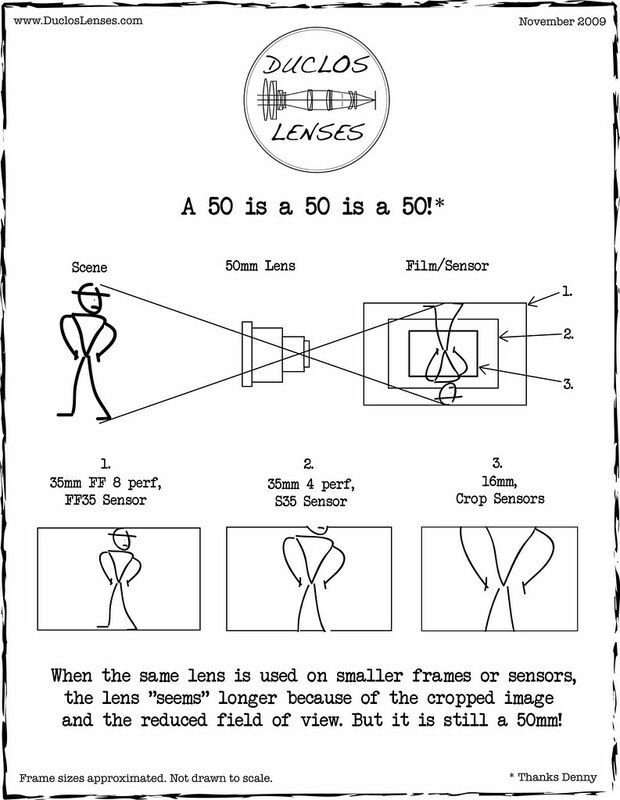 These are considered “crop sensors” when compared to 35mm Full Frame and only utilize a portion of the intended image circle created by a Full Frame lens. The only thing that changes when using a 35mm FF lens on a Super35/APS-C sensor is the field of view (FOV) or the angle of view. So unless you’ve spent the past 30 years memorizing the field of view associated with a specific focal length, strictly on 35mm Full Frame, don’t bother trying to compensate for crop factor. Posted on November 3, 2009 September 11, 2014 Author Matthew DuclosCategories Uncategorized7 Comments on A 50 is a 50 is a 50! With the release of the RED ONE camera, buying used lenses has become a very common practice. I am writing this guide in order to help buyers be more aware of the potential risks and adversity. One of the most frequently investigated sources for used glass is the internet. With the vast collection of lenses on Ebay, Craigslist, Pennysaver, and other sellers, glass has come from every corner of the globe and is now being auctioned for what seems like a great deal. RED’s new prime lenses: Pro? With the influx of new optics in the motion picture industry, RED would be silly to ignore the need for high quality optics that coincided with their budget friendly camera. RED went ahead and developed their RED Pro Primes to fill the void. I had seen several sets of prototypes over time at different venues. But I finally got my hands on a production set sent to a customer. There are several other lens companies that are producing competitive lenses that must not be overlooked. This is in NO WAY a plug to the RED lenses, simply a quick review so that I can refer people here to answer some basic questions. Continue reading RED’s new prime lenses: Pro? Posted on June 26, 2009 July 9, 2009 Author Matthew DuclosCategories Uncategorized2 Comments on RED’s new prime lenses: Pro? In regards to my post on back focus, the simplest tool I’ve found for setting back focus on a RED camera is the diascope from uniQoptics. Here is a quick video showing how simple it is. Posted on June 21, 2009 Author Matthew DuclosCategories UncategorizedLeave a comment on uniQoptics 52mm Diascope fun. CineGear was held at Paramount Pictures Studios this past weekend. Pale in comparison to NAB, but still more motion picture oriented. I had a chance to visit all the booths that I thought were important and talked to several key players in optics game. These rumors are just that… Rumors. Don’t take anything too seriously. There may not be two businesses more different than concrete and camera lenses, but for the people behind both Simi Valley companies, it’s about seizing opportunities. In the case of Pre-con Products, a company with more than 45 years in business, new opportunities have developed by breaking into different product lines and adopting the latest technology to produce more environmentally friendly concrete. For uniQoptics, just blocks down the road, opportunity came through a chance meeting of two men about three years ago. They saw a niche for making high-quality lenses at lower prices for independent filmmakers. UniQoptics, formed through a partnership forged at a basketball game, is a division of Pre-con Products. It was fortuitous for Pre-con Products, which has felt the effects of the economic downturn, seeing less demand for its products as housing construction hit a standstill and commercial and government projects slowed. The company has 55 employees, about 10 fewer than at its high a few years ago. Annual revenue is just less than $10 million, down from $18 million a few years ago, President David Zarraonandia said.